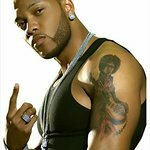 Race to Erase MS announced today that platinum-selling international music star Flo Rida will headline its historic 25th Anniversary Gala on Friday, April 20 at The Beverly Hilton in Los Angeles. Award-winning singers Elle King and Siedah Garrett will also deliver musical performances throughout the night. The landmark evening will be hosted by HQ Trivia’s Scott Rogowsky, and will feature a Fall 2018 runway show from Hollywood-favorite fashion brand alice + olivia by Stacey Bendet. The legendary, celebrity-filled gala has raised over $47 million to date for Race to Erase MS and its Center Without Walls program. This year marks the 25th Anniversary Gala, where guests will participate in a silent auction before enjoying a gala dinner and live musical performances. The organization also announced one of the luxury live auction items that will be available to guests of the event – a Ferrari Portofino, one of the first of its kind to reach Los Angeles. Legendary musician Greg Phillinganes will serve as Musical Director for the event. Elle King has taken the world by storm with the release of her gold-certified debut album LOVE STUFF (RCA Records). Her double platinum hit single “Ex’s & Oh’s” was nominated for 2 Grammy Awards and 2 Billboard Music Awards, and she made chart history, becoming the second female artist in 18 years to reach #1 at Alternative Radio. In addition to the #1 spot at Alternative Radio, the single also claimed the #1 at AAA Radio Chart, Hot AC Radio and topped Billboard’s “Hot Rock Songs” chart. Elle was nominated for her third Grammy Award with Dierks Bentley for Best Country Duo or Group for their #1 hit “Different for Girls” and won the CMA award in 2016 with Dierks for “Musical Event of the Year.” Elle is currently working on her follow-up studio album for RCA. Siedah Garrett is a GRAMMY-winning and twice Oscar nominated singer/songwriter whose contributions to popular culture are unparalleled. Garrett began her career as a background vocalist when she was just 15 years old, and went on to sing in a variety of local bands before catapulting to the status of one of the most sought after songwriters in the world. Having been a collaborator and band member of Michael Jackson’s, Garrett is most famous for co-writing The King of Pop’s megahit “Man in the Mirror” from his GRAMMY Award-winning, chart-topping 1987 album, “Bad,” and as his duet partner on “I Just Can’t Stop Loving You.” In addition to Jackson, Garrett’s songs have been recorded by musical icons including mentor Quincy Jones, Aretha Franklin, Miles Davis, Earth Wind & Fire, Jamie Foxx, Jennifer Hudson, will.i.am, and many others. Her first big hit was the now classic duet with The Temptations’ Dennis Edwards, “Don’t Look Any Further.” She has toured internationally with Madonna, Sergio Mendes, and The Brand New Heavies, and recently performed alongside pop sensation Aloe Blacc. Film and television productions to use Siedah’s music include “The Lego Batman Movie,” “Rio,” “Rio 2,” “Dreamgirls,” “The Voice,” “Fuller House,” and the hugely successful Playstation video game “Nioh.” Garrett’s latest project is her single “G.H.E.T.T.O.” (Greatness Happens Even Though There’s Oppression) which features GRAMMY and Academy Award-winning rapper Common. Outside of her work as a singer and songwriter Garrett is also an active philanthropist, using her time, talents and creativity to make a positive difference in her community and throughout the world. Race to Erase MS was founded in 1993 by Nancy Davis and is dedicated to the treatment and ultimate cure of Multiple Sclerosis. All funds raised by the organization, through its iconic galas and year-round initiatives, support the “Center Without Walls” program, a unique collaboration of the world’s leading MS research scientists currently representing Harvard, Yale, Cedars Sinai, University of Southern California, Oregon Health Science University, UC San Francisco and Johns Hopkins. Davis also created the annual “Orange You Happy to Erase MS” campaign, which takes place for the entire month of May (MS Awareness Month) and adds yet another branch of fundraising for MS research. Throughout the month, a variety of orange products, many of which are specially created for this initiative, are sold to benefit the cause and elevate public awareness about MS. Orange T-shirts with symbolic messaging are created annually and in recent years, modeled by longtime supporters Sharon and Kelly Osbourne. For the 2018 campaign, they will be joined by Jack Osbourne, an MS survivor himself, and his two young daughters! Among the partners is ALEX AND ANI, a company that has been a loyal partner to Race to Erase MS since 2012. They created a unique Cupcake Charm Bangle and donated twenty percent of its proceeds to Race to Erase MS. This effort alone has raised over $1 million for multiple sclerosis research. Additional partners of the 2018 Race to Erase MS Gala and “Orange You Happy to Erase MS” campaign include Evine and Right Bank Shoe Co.